He was from Vietnam. She was from North Korea. Their story of forbidden love is a bit like Romeo and Juliet, but with a much happier ending. Pham Ngoc Canh was 22 when he first saw Ri Yong Hui. He said he knew instantly that she was the love of his life. "I thought immediately to myself that I must marry that girl." In 1967, as Vietnam and the United States were locked in war, 200 Vietnamese students were sent to North Korea. Their mission: gain the skills needed to rebuild the state once the war was over. Canh was one of them. He was apprenticing at a fertilizer factory when he spotted Ri, working in a laboratory. He plucked up the courage to ask for her address. "I felt sad when we first met - because I knew from the beginning that this would be a love that couldn't come true." Relationships with foreigners were strictly forbidden, by both - North Korea and Vietnam - at the time. It remains banned in the North to this day. Canh took monthly secret trips to visit Ri at her home during his stay but left in 1973. The couple stayed in touch and waited - for over 20 years. Then in the 90s- North Korea was wracked by famine. Canh raised seven tonnes of rice in donations to send to the North... worried that Ri and her people would starve. His efforts touched North Korean officials who agreed the two could marry... and live in either country. In 2002, decades after their first meeting, the two finally wed in the Vietnamese embassy in Pyongyang. 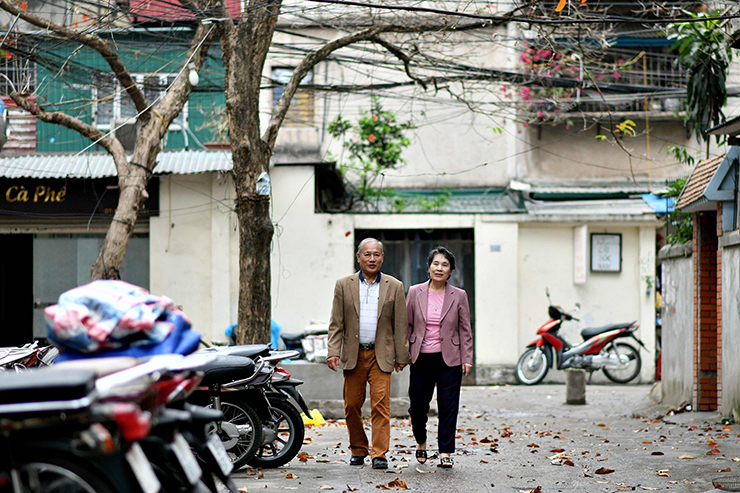 And settled in their new life together in Hanoi, where they still live today. Now, enjoying freedoms that would be impossible in North Korea, Canh and Ri have high hopes for the upcoming summit between Donald Trump and Kim Jong Un, which is set to be in Hanoi. They hope it will be a step towards peace. "I think that we have to live to love. There's nothing bad in loving."